THE VOICE: There were a bunch of truly awful song choices this week. (Poor Kennedy.) 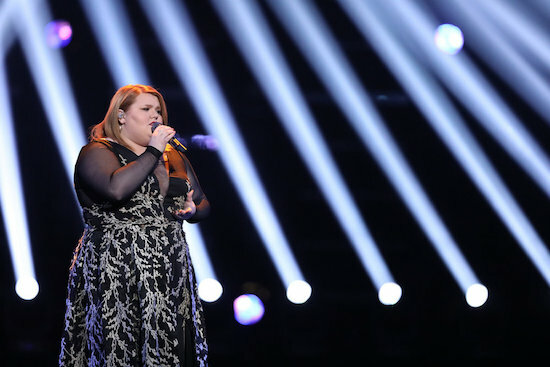 MaKenzie Thomas and Sarah Grace were the real breakout performers of the night; I can’t see a way where either doesn’t fly through to the semi-finals. I’d guess Team Blake and Team Kelly will lose contestants this week, but voting has occasionally been wonky…and one person I expected to be out is charting on iTunes, so who the heck knows how this is going to shake out. ARROW: I was kind of underwhelmed by the new Green Arrow reveal. The Queen family drama has fed into so much of the show’s DNA over the years, and it would have been interesting to see someone with no tie to Oliver take it upon themselves to follow in his footsteps. I’m glad the show did address the changes to Oliver and Felicity’s relationship since he went to prison. I don’t know if they’ll actually play the drama through, but I’m glad it wasn’t totally swept under the table. Oh, Diggle, Oliver is really not going to be happy when he discovers you’re talking to Diaz. Poor Constantine. I’m really glad we learned a bit more of his backstory, even if it was tragic because he was mourning a dead love.